Tourists in the United States must obtain a B-2 visa for authorized entry. The exception lies with members of the 35 nations recognized by the U.S. as visa waiver countries. Citizens of these countries can enter the U.S. without a tourism visa. All other tourists must obtain B-2 visitor visas from the U.S. embassy or consulate in their home nation. When a visa is granted, it indicates an expiration date. But authorized status in the U.S. is based on the I-94 entry card, which may differ from the visa expiration date. Prior to obtaining a tourist visa, foreign nationals must schedule a visa appointment interview. Interview appointments are scheduled differently across the globe. Some embassies and consulates prefer to schedule appointments over the phone, while others utilize the Internet. During this process, applicants must pay a visa appointment fee, which is determined by each embassy and consulate. Before attending the visa interview, applicants must complete the online form DS-156 and bring a printed copy with them to the interview. In some cases, a newer form, the DS-160 replaces the DS-156. The form requests basic information, including biographical and passport data. Applicants should bring two passport-sized photos along with the application. This set of photos is used on the visa stamp. During the visa appointment interview, the immigration officer will request information regarding the intended trip. The applicant should provide the purpose of the visit along with any itineraries, travel plans, plane tickets or any other type of information that helps evidence the trip. Specifically, the B-2 visitor visa is restricted for purposes of pleasure, tourism and medical treatments. If an officer feels that the visa is intended for any other purpose, the application may be denied. Immigration officers are trained to assume that any trip to the U.S. is for the purpose of permanent immigration. Since a B-2 visa only allows for temporary visitation to the U.S., it is the burden of the applicant to prove an intent to return. Such proof may include a job held outside of the U.S., an established residence that is not for sale or any other ties that would associate the applicant with the intent to return from the U.S. Showing intent to return from travel is not enough. The immigration officer must see evidence that the applicant has the financial ability to afford travel to the U.S., the duration of the trip and return trip. This is especially important in lengthy trips for an applicant who may reside in the U.S. for several months. Financial ability is proven through bank statements of either checking or savings accounts. Soden, J.M.. "Requirements for a Tourist Visa in the USA." 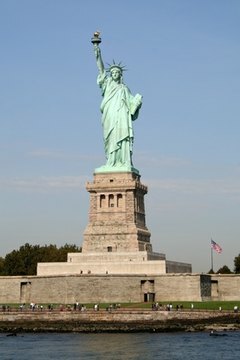 , https://legalbeagle.com/6373041-requirements-tourist-visa-usa.html. Accessed 22 April 2019.